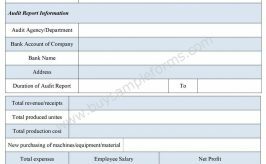 A Land Appraisal Report Form is used for applying for loans, for tax matters etc. This is a detailed report which determines the market value of a property and also provides an analysis of similar properties in the area. The land appraisal report form will also include the estimate for the time that will be taken to sell the land area. It will also describe the location of land area. Such appraisal form is very helpful in assessing the particular land area. 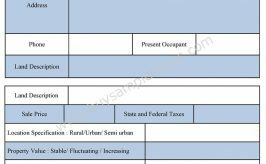 Below is an example of Land Appraisal Report Form. The sample Land Appraisal Report Form can also be downloaded online in either MS Word or PDF format. 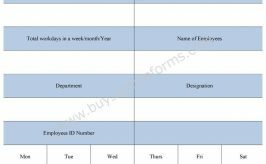 Such formats are editable and can be customized as required.